Goldman Sachs Group, Inc. is a multinational investment bankBulge Bracket Investment BanksBulge Bracket investment banks are the top global investment banks. The list includes companies such as Goldman Sachs, Morgan Stanley, BAML, and JP Morgan. What is a Bulge Bracket Investment Bank and that was established in 1869 by Marcus Goldman. It is headquartered at 200 West Street in Lower Manhattan in New York (image below) and operates offices in over 30 countries as of December 30, 2016. Goldman Sachs offers asset management, mergers and acquisitionsMergers Acquisitions M&A ProcessThis guide takes you through all the steps in the M&A process. Learn how mergers and acquisitions and deals are completed. In this guide, we'll outline the acquisition process from start to finish, the various types of acquirers (strategic vs. financial buys), the importance of synergies, and transaction costs, brokerage, and security underwriting servicesInitial Public Offering (IPO)An Initial Public Offering (IPO) is the first sale of stocks issued by a company to the public. Prior to an IPO, a company is considered a private company, usually with a small number of investors (founders, friends, families, and business investors such as venture capitalists or angel investors). Learn what an IPO is. It also provides regular banking services through its bank, GS Bank USA. 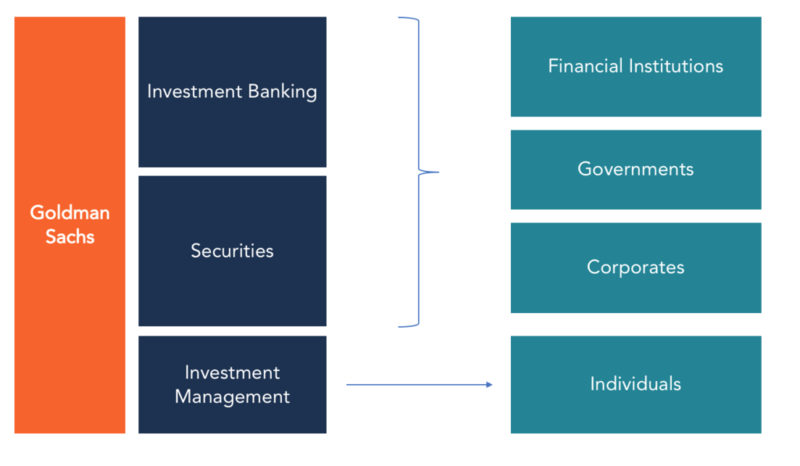 The company provides services through its four segments: Investment Banking, Investment Management, Investing and Lending, and Institutional Clients. During the Global Financial Crisis of 2008, Goldman Sachs was one of the firms that incurred massive losses due to its involvement in securitization during the sub-prime mortgage crisis. The company received an investment of $10 billion from the US Department of Treasury as part of the Troubled Asset Relief Program (TARP). It used the government investment to rebuild its business, and the loan was repaid in June 2009. Goldman Sachs was established in 1869 by Marcus Goldman, a Bavarian school teacher who emigrated to the United States in 1848. Goldman’s son-in-law, Samuel Sachs, joined the company in 1882. In 1885, the business expanded into a partnership when Goldman’s son, Henry, and son-in-law, Ludwig Dreyfus joined the company. Goldman Sachs became one of the first firms to offer commercial paper financing to entrepreneurs. The company joined the New York Stock Exchange in 1896. In two years’ time, the company grew rapidly and increased its capital to $1.6 million. The company issued the first IPO in 1906 when it took Sears, Roebuck and Company public. Goldman also helped F.W. Woolworth and Continental Can go public through an IPO. Over the years, Goldman Sachs established itself as a market leader in the financial industry through acquisitions and expansions. The company launched Goldman Sachs Trading Corp in 1928 as a closed-end fund, but it failed in the following year during the Stock Market Crash of 1929. In 1970, Goldman Sachs established its first international office in London, the United Kingdom. It also created a private wealth and fixed income division in 1972 to expand its UK reach. In 1981, it acquired commodities trading firm J. Aron & Company, which dealt in precious metals, coffee, and foreign exchange. The acquisition helped Goldman Sachs tap into the South American market, which helped spur growth in later years. In 1986, it created Goldman Sachs Asset Management, a company that manages its mutual and hedge funds today. During the financial crisis, Goldman Sachs was one of the firms that benefited from the U.S. Treasury bailout of financial institutions as part of the Troubled Asset Relief Program (TARP). The company received $10 billion investments from the U.S. Treasury in 2008. Goldman repaid the investment with a 23% percent interest, in the form of $318 million in preferred dividends and $1.418 billion in warrant redemptions. The Investing Banking DivisionIBD - Investment Banking DivisionIBD is an acronym for the Investment Banking Division within the overall investment bank. IBD has responsibility for working with corporations, institutions, and governments to carry out capital raising (underwriting in equity, debt, and hybrid markets) as well as for executing mergers and acquisitions accounted for 21% of the company’s total revenues in 2015. It involves financial advisory and underwriting. Financial advisory involves advisory assignments on mergers and acquisitions, restructuring, corporate defense activities, risk management, and derivative transactions related to these advisory assignments. As an underwriter, Goldman Sachs offers public offerings and private placements including local and cross-border transactions, as well as derivative transactions entered into with public and private clients in relation to the underwriting services. The company gained prominence as one of the best mergers and acquisition firms in the 1980s by advising its clients on how to avoid forced hostile takeovers. The investment management segment accounted for 18% of the company’s total revenues in 2015. It provides investment advisory and financial planning services, and investment products such as equity and fixed income that are spread across all major asset classes to a large group of individuals and institutions. The investment products are offered through separately managed accounts, private partnerships, mutual funds, and other structures. The financial planning services include trust and estate planning, charity donations, tax planning, and income management. The bulk of revenues in this segment comes in the form of management fees and transaction fees. The Investing and Lending segment accounted for 16% of Goldman’s total revenues in 2015. It involves long-term investing and lending across various assets such as debt securities, loans, real estate, and public and private equity securities. 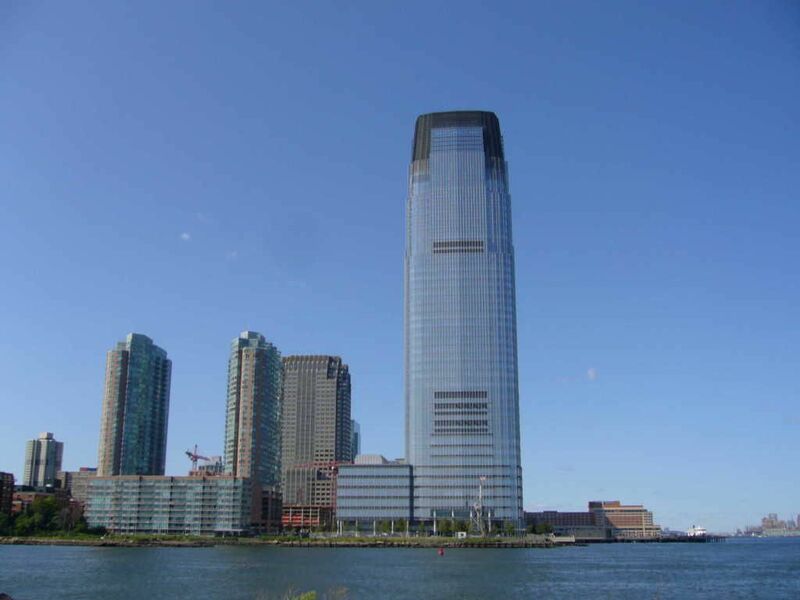 Goldman Sachs may invest directly in publicly and privately traded securities through its investments funds or by using funds managed by third parties. It provides financing to its corporate and individual clients through bank loans, mortgage-backed securities, and personal loans. The institutional clients segment accounted for the highest percentage of revenue, 45%, in 2015 but it has since declined to 18% as of 2017. The client services are provided according to the asset class. It includes client acquisition activities in both cash and derivative products for interest rate products, credit products, mortgages, currencies, and commodities. Interest rate products include government bonds, repurchase agreements, interest rate swaps, and options. The credit products comprise investment grade corporate securities, credit derivatives, EFTs, high yield securities, emerging market and distressed debts, and municipal securities. Mortgage includes mortgage-related securities, loans and derivatives and other asset-backed securities, loans, and derivative products. The currency products include currency options and spot/forwards, while commodities include commodity derivatives and sometimes physical products such as petroleum products and metals. Lloyd Blankfein is the current CEO and Chairman of Goldman Sachs since 2006. He joined the company in 1982 when commodities trading firm J. Aron & Co, where he was working as a precious metals salesman, was acquired by Goldman Sachs. Blankfein managed the Goldman Sach’s Currency and Commodities Division from 1994 to 1997 and rose to become the vice-chairman of the Fixed Income, Currency, and Commodities Division between 2002 and 2004. He is one of the highest-paid executives on Wall Street; he earned $22.3 million in 2016 and his net worth as of July 2017 is $1.1 billion. 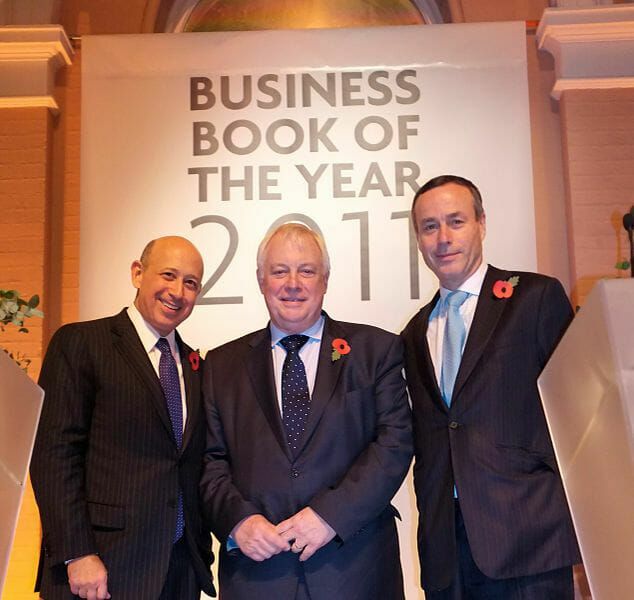 David M. Solomon serves as the President and Co-chief Operating Officer of Goldman Sachs. He joined the Company in 1999 as a partner, and he was the co-head of the investment banking segment from 2006 to 2016. He assumed his current position in December 2016, when his predecessor, Gary Cohn, was appointed as Chief Economic Advisor to President Trump. Harvey Schwartz serves as the President and Co-chief Operating Officer of Goldman Sachs. He joined the company in 1997 when Goldman Sachs acquired J. Aron & Company. He previously worked as a Vice President, Managing Director, Partner, as well as Chief Financial Officer.